PLEASE NOTE TIME CHANGE - Class is 9:30am-12pm. Just in time for spring! Join Jeff Tadsen to turn a plain 10” terra cotta pot into a whimsical piece of garden art. He’ll teach you how to paint several flowers and layer colors for a beautiful art piece! 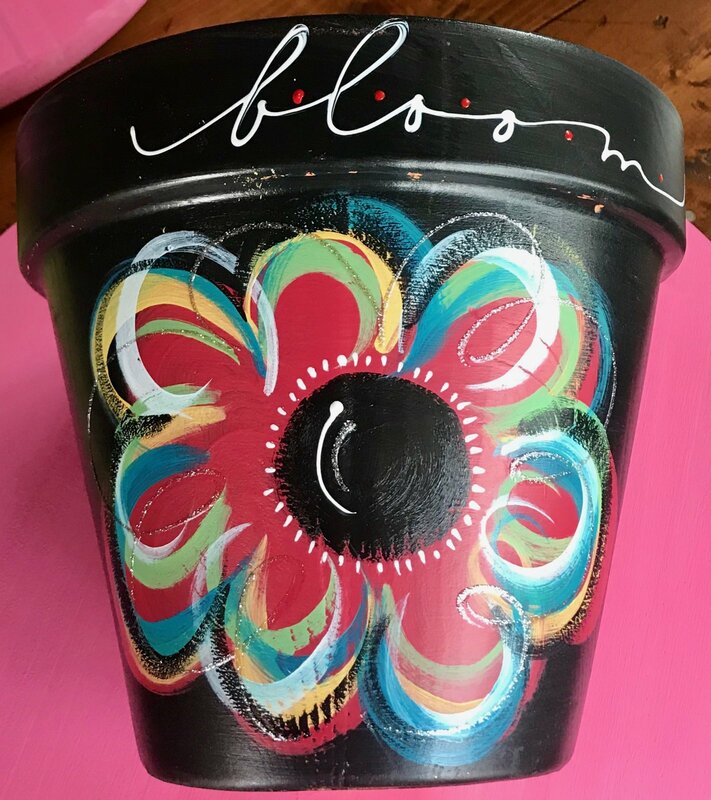 Choose which flower you’d like to paint on your flower pot. Once you know the techniques, you can paint more pots at home! Instructor Bio: Local artist Jeff Tadsen promises a fun class while you learn to paint in his whimsical style!